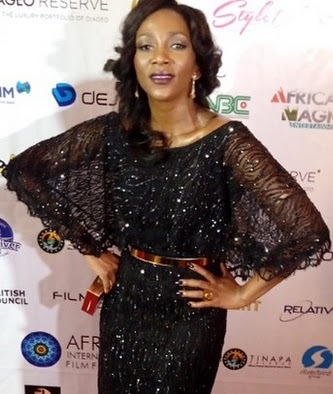 Mama Chimebuka has kept rumour mill busy since she was last spotted at the recently concluded Africa International Film Festival event that held in Tanapa area of Calabar, Cross River State. The Nollywood diva and fashion icon has never been married and she is not the type that expose her relationship to the public. She looked take away in a black sequined Couture gown at the event. Her radiant smile speaks volume about her relationship status. Many believe she might have married secretly. One thing she is known for is her ability to keep fans guessing. 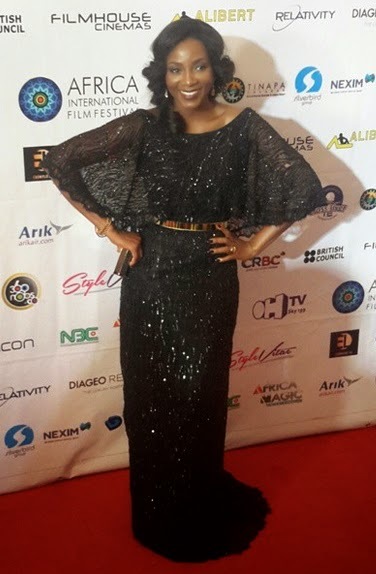 From Genevieve Nnaji To Fans: Can You Spot The Difference? She is marrys in sicritly, that na why she wearing gown wey is covers all her body. Her husband was tolding her to be dress well. I personally wish you a happy marriage. Now that you have taken note that, staying without a man is boring and shows no respect in the eyes of people, it is high time you worked hard to keep your marriage with endless prayers. All the best in everything you do. From the youths of Southern Africa. Dat may b part of fashion or she used it to deceive, if big girl like Gene marries peppl will knw. How can she get married without people knowing? We all kws d types of girl she is, it is unfortunate that she married without we fans concept.